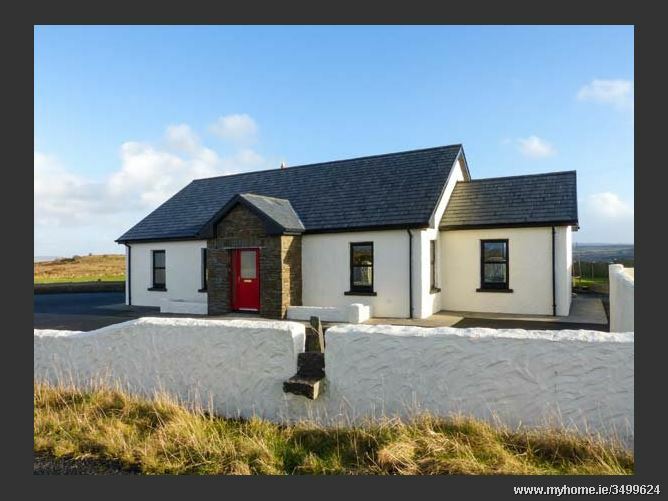 Hillcrest Haven is a detached cottage situated just over a mile from the village of Kilfenora in County Clare and can sleep seven people in one double bedroom with en-suite, one twin room and a family room with children's bunks and a single bed. The rest of the cottage contains a kitchen with breakfast bar and a dining area, plus a separate sitting room with gas stove. To the outside there is ample off road parking and a lawned garden with patio. With superb walks and cycling in the area, Hillcrest Haven will suit a family or groups of friends looking for a quality base to explore this scenic part of Ireland. Gas central heating with gas stove. 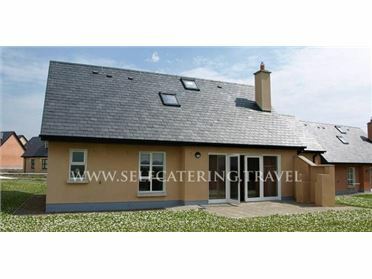 Electric oven and gas hob, microwave, fridge, freezer, washing machine, tumble dryer, dishwasher, TV with Saorview, CD/radio. Fuel and power inc. in rent. Bed linen and towels inc. in rent. Cot and highchair. Ample off road parking. Lawned garden with two patio areas. Sorry, no pets and no smoking. Shop and pub 1.5 miles. Note: No stag/hen or similar. Note: The bunk beds are suitable for children or teenagers up to the age of 18..